Looney Tunes Apk Zynga, the popular game developer has come up with a brand new game featuring your favorite cartoon characters such as the quick Road Runner, Bugs Bunny,the cute Tweety Bird etc., The game is based on the Looney Tunes T.V show and kids will have fun playing this cartoon themed game. The game features many levels with unique challenges and gameplay modes, Players can unlock new levels, Collect Looney toons collectors cards and unlock their character's full potential to complete the levels quickly. Crossy Road is also a fun and addictive game with cool graphics and interesting gameplay, The game has topped the iOS app store charts and it is now released for Android. 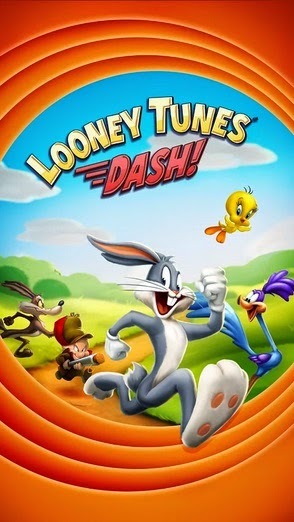 Android users can get Looney Tunes Dash on their phone or tablet by downloading the looney tunes dash apk from here and install the game manually or get the game directly from Google play for free.